The Best Labor Law Blogs from thousands of Labor Law blogs on the web using search and social metrics. Subscribe to these websites because they are actively working to educate, inspire, and empower their readers with frequent updates and high-quality information. Labor Law newsletter is a comprehensive summary of the day's most important blog posts and news articles from the best Labor Law websites on the web, and delivered to your email inbox each morning. To subscribe, simply provide us with your email address. Worldwide About Blog Labor and employment issues are top-of-mind for executives as they come to terms with the realities of our changed economy. Labor & Employment Law Perspectives is your online resource for information on evolving issues. The latest news, developments, and evolving issues in Labor & Employment law can be seen here. Facebook fans 1,342. Twitter followers 125. About Blog The Labor & Employment Group is dedicated to providing up-to-date, useful information to allow employers and human resources professionals to react to rapidly evolving case law, statutes, and regulations that control the California workplace. This blog’s objective is to serve as a forum to discuss labor and employment topics, issues and legal news. Facebook fans 300. Twitter followers 374. United States About Blog Hospitality Labor and Employment Law Blog is written by the Labor & Employment Lawyers of Epstein Becker Green and offers updates on Hospitality Employment Law. Epstein Becker & Green, P.C., is a national law firm with a primary focus on health care and life sciences; employment, labor, and workforce management; and litigation and business disputes. Facebook fans 312. Twitter followers 3,230. Global About Blog Labor & Employment Law Blog is designed to provide employers with breaking news, insights, and legal analysis on virtually every labor and employment law issue facing employers. Facebook fans 811. Twitter followers 3,030. About Blog Sherman & Howard L.L.C. is a regional firm with a national practice. Our over 180 lawyers serve a broad range of clients, including individuals, privately held businesses, multi-national corporations and government entities. We also provide counsel to in-house legal departments and to other law firms that require our distinctive experience. Winston-Salem, NC, USA About Blog At Constangy, Brooks, Smith & Prophete, LLP, workplace law is all we do. We have nearly 200 attorneys across 15 states, offering services ranging from the defense of single and multi-plaintiff employment discrimination, harassment and retaliation claims to complex wage and hour litigation, workplace safety, and affirmative action compliance issues, as well as OSHA, to workers’ compensation, ERISA and employee benefits, immigration, and labor relations. Facebook fans 393. Twitter followers 2,007. About Blog We have one of the largest and strongest Labor & Employment Law Departments and have handled virtually every type of issue . From handling the most complex matters to shaping new law, we are trusted advisors on everything impacting the workplace. This Blog/Web Site is made available by the lawyer or law firm publisher for educational purposes only as well as to give you general information and a general understanding of the law, not to provide specific legal advice. United States About Blog Retail Labor and Employment is written by the Epstein Becker Green Retail Team and offers insights on retail employment laws. It has decades of experience serving clients in health care, financial services, retail, hospitality, and technology, among other industries, representing entities from startups to Fortune 100 companies. Operating in locations throughout the United States. United Arab Emirates About Blog We are Helping those who are in need of help by providing Informative Articles, Labour Law, Immigration & Visa Updates, News, UAE Life, Social Issues and more. UAE Labour Law, UAE Immigration, UAE Ban, UAE Blacklist, UAE Visa Status, Visa status online, UAE Jobs, Employment Contract, Gratuity calculation all these topics are discussed here. Facebook fans 72,959. Twitter followers 58. Seattle, WA About Blog In 2004, a trial lawyer of 16 years turned tech entrepreneur, Kevin O’Keefe, voiced the idea that lawyers should have blogs. He believed that by leveraging this new technology, lawyers could build a name for themselves in a way that had never existed previously. Inspired by this vision, O’Keefe started LexBlog out of his garage by building blogs for lawyers. Facebook fans 732. Twitter followers 16,623. About Blog Labour and employment law issues are challenging for businesses, especially where operations cross provincial and national borders. Yet compliance, litigation, and best practices are critical to maintaining a competitive advantage. With more than 500 labour and employment lawyers in 47 countries, Baker McKenzie uses its domestic experience and global perspective to provide seamless and integrated advice. Facebook fans 12,612. Twitter followers 295. United States About Blog Health Employment and Labor is written by Epstein Becker Green’s Labor and Employment practice and covers wage & hour compliance and labor-management relations. Dallas, TX About Blog At The Devadoss Law Firm, P.L.L.C., we are dedicated to defending and protecting the federal government employees' right to a workplace free from wrongful, retaliatory and discriminatory actions. We seek full compensation for those whose rights have been violated and for those who have been injured at work, and positive outcomes for those who face disciplinary actions. Facebook fans 229. Twitter followers 85. Prairie du Chien, WI About Blog Welcome to the Labor and Employment Law Update where attorneys from SmithAmundsen blog about management side labor and employment issues. They cover topics including addressing harassment and discrimination in the workplace, developing labor law, navigating through ADA(AA), FMLA and workers compensation issues, avoiding wage and hour landmines, key legislative, case law and regulatory changes. Facebook fans 238. Twitter followers 121. United States & Mexico About Blog Snell & Wilmer law offices are the West's largest full-service business law firm with attorneys. Snell & Wilmer has a long tradition of community service and leadership. We have opted, then, to devote our Facebook page to highlight the outstanding efforts and contributions of the members of our firm to the communities in which we live and work. Facebook fans 722. Twitter followers 2,258. About Blog This publication by Kean Miller law firm offers insight and Information on Louisiana law, litigation, and legal culture. New York, Florida, Kansas About Blog The Employment Law Alliance is the world's largest and most important network of labor and employment lawyers. The ELA is listed in Chambers Global 2016 as “The Elite (Band 1)” law firm network – the rating service’s highest distinction, with the largest number of individual attorneys ranked of any network. Through the ELA, our firm has the ability to serve our clients' needs throughout the U.S. and around the world. Mission, BC About Blog Law Blogs is the home of The Canadian Law Blogs list, an open directory of Canadian blogging lawyers, law librarians, marketers, IT professionals and paralegals. Facebook fans n/a. Twitter followers 4,955. About Blog This law blog provides news & commentary on developments in public agency management, labor relations and employment law in California. Topics include workplace policies, disability and discrimination in the workplace. US About Blog Our Employment & Labor practice consists of a team of highly skilled, dynamic and forward-thinking individuals. We are part of one of the largest international employment teams, with a team of over 25 lawyers in Europe and the Middle East, and more than 70 Labor and Employment lawyers in the United States. Facebook fans 1,160. Twitter followers 17,022. About Blog Francesco C. Britanico is a Philippine attorney talks about new rules and reforms which newly come up in Philippines. He keeps the firms and employers well informed about the newly sanctioned laws in labor law. Hartford, CT About Blog Daniel A. Schwartz created the Connecticut Employment Law Blog in 2007 with the goal of sharing new and noteworthy items relating to employment law with employers, human resources personnel, and executives in Connecticut. Facebook fans 310. Twitter followers 4,602. New York, NY About Blog WCM is a firm of trial lawyers who partner with our clients to devise effective strategies to manage risk and to bring closure to complex matters as quickly as possible. And if the matter warrants, we stand ready to fight the end game, whether trial by jury or argument to an appellate bench. New Jersey About Blog New Jersey employment law firm representing employees in workplace disputes against their employers, including matters involving wrongful termination and more. Facebook fans 234. Twitter followers 105. Capital Region, New York About Blog A successful attorney-client relationship is forged by more than just a smooth closing, a rewarding settlement, or a victory in the courtroom; it is a relationship built upon the time-honored principles of trust, commitment, and respect. At Ianniello Anderson, P.C., these principles serve as the foundation of the relationships we develop with our valued clients. Our clients trust us to get the job done with an unwavering commitment to protecting their best interests. Facebook fans 180. Twitter followers 2. U.S.A. About Blog The Stoel Rives LLP World of Employment blog is a resource readers can trust to find the latest developments in labor and employment law. Our team is comprised of lawyers who practice exclusively in this area and bring to bear more than 100 years of combined legal experience. Facebook fans 497. Twitter followers 3,568. Denver About Blog Workplace attorneys in Denver, Colorado help clients with a wide range of labor and employment law problems. Employment law firms in Denver, Colorado and their employment attorneys handle employment law problems for employees and employers. Facebook fans 4. Twitter followers 8. Chicago & Indiana About Blog As a full-service firm, our trial attorneys, with over a century of combined trial experience, efficiently and professionally manage and present cases for resolution to juries, judges and arbitration panels. Each member of our team, attorneys and support staff alike, exceeds the expectations of our clients in keeping with the firm motto of exceptional service and proven results. US About Blog We’ve created this blog to help our clients and others to track the numerous developments in labor and employment law at both federal and state levels. We hope to bring you not only the news, but our thoughts on how these new developments may impact your business. Facebook fans 332. Twitter followers 476. About Blog The Steptoe Labor & Employment Blog covers labor and employment law and class action issues. Labor & Employment Blog written by Steptoe & Johnson’s Labor Practice Attorneys offers helpful insights on workforce strategic planning and talent management, compliance programs, investigations, counseling and training, and litigation and labor relations needs. Facebook fans n/a. Twitter followers 4,522. Ampang, Selangor About Blog The purpose of this blog is to provide information on current issues in labour, employment and industrial law practices in Malaysia. Through this blog, both employers and employees may keep themselves abreast of developments in the ever-evolving labour and employment industry. We invite you to share your experiences with other readers and hope that you will find this Blog of interest to you. Facebook fans 1,628. Twitter followers 39. Boston, MA About Blog This firm has worked tirelessly to protect the rights of individuals in times of crisis, when they are arrested, when they have suffered discrimination or face job loss, and when they face disciplinary action from their schools that could result in terminating their education. Our passion for justice and our personal commitment to our clients and their needs drives us in each and every one of our cases. Facebook fans 99. Twitter followers 351. United States About Blog California Employment Law is written by the Fox Rothschild L&E Attorneys and provides updates on employment law. Fox Rothschild is home to a particularly active labor and employment law practice in California. Facebook fans 1,332. Twitter followers 4,906. About Blog Archer has represented management in its practice of labor and employment law. The lawyers who comprise the firm’s Labor and Employment Law Department are involved in every aspect of the labor and employment law practice. The most basic representation involves day-to-day advice and counsel to personnel and human resource departments with respect to the numerous labor and employment matters which arise from daily operations. Facebook fans n/a. Twitter followers 1,347. Michigan About Blog Foster Swift's employment attorneys thrive on helping private and public sector employers adhere to the myriad of employment laws and regulations. This blog intends to keep employers up-to-date on the latest changes to Michigan's laws and regulations. About Blog The content of this blog is intended for informational purposes only. It is not intended to solicit business or to provide legal advice. Laws differ by jurisdiction, and the information on this blog may not apply to every reader. You should not take, or refrain from taking, any legal action based upon the information contained on this blog without first seeking professional counsel. Your use of the blog does not create an attorney-client relationship between you and Genova Burns. 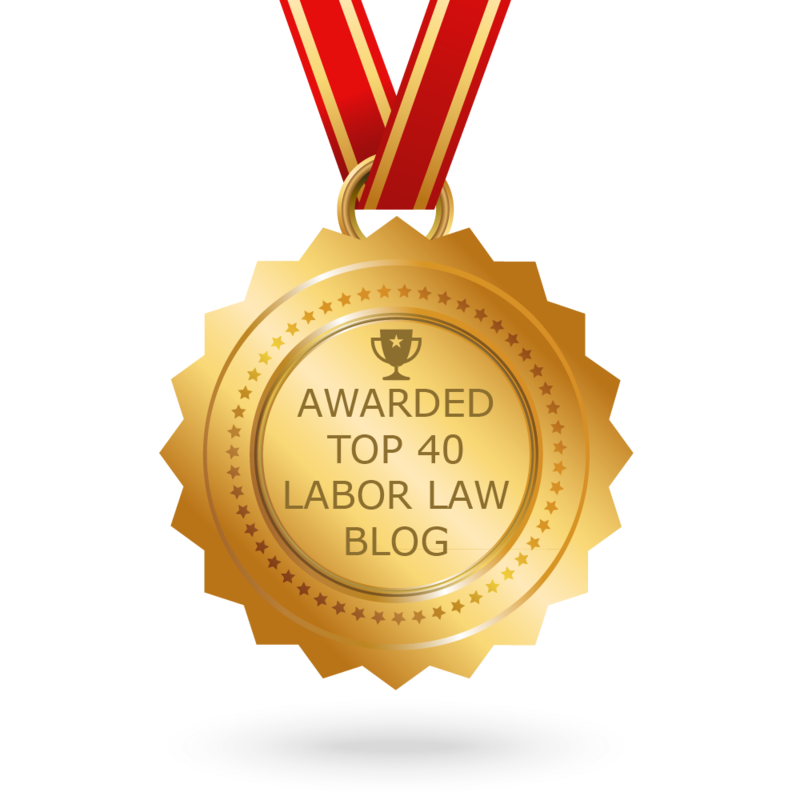 CONGRATULATIONS to every blogger that has made this Top Labor Law Blogs list! This is the most comprehensive list of best Labor Law blogs on the internet and I’m honoured to have you as part of this! I personally give you a high-five and want to thank you for your contribution to this world.